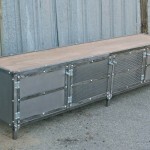 Looking for cool modern industrial furniture for your home or office? 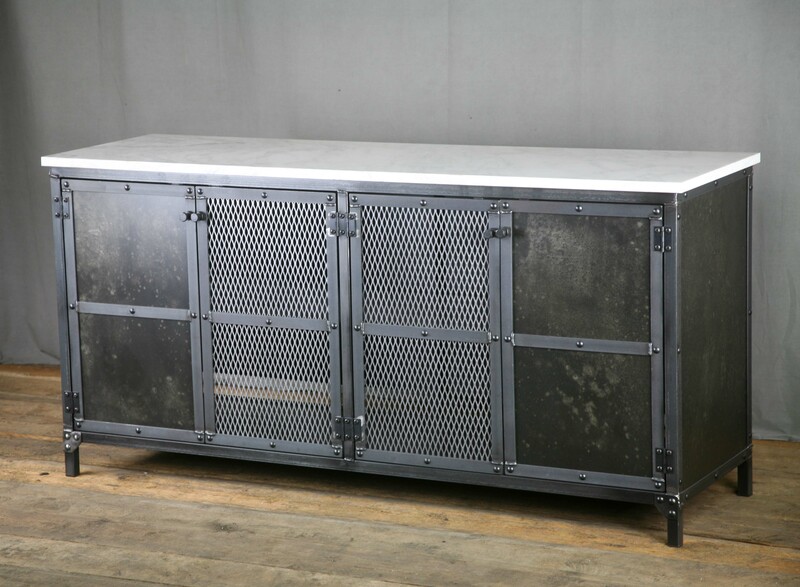 Then this modern industrial console might be what you’re looking for. 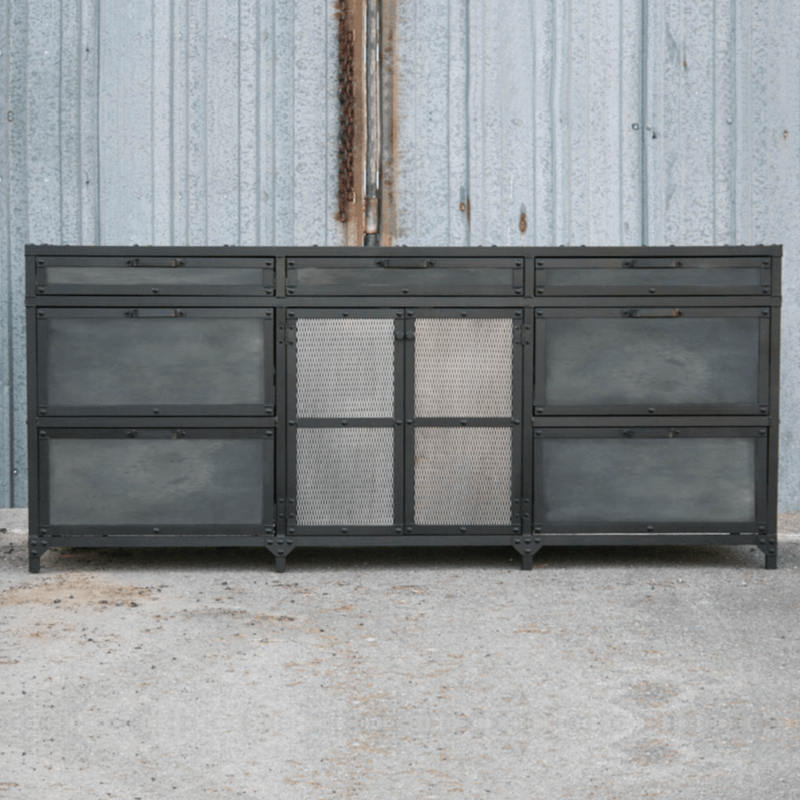 Just like the rest of our media consoles , credenzas, and buffets, it is a very versatile piece. 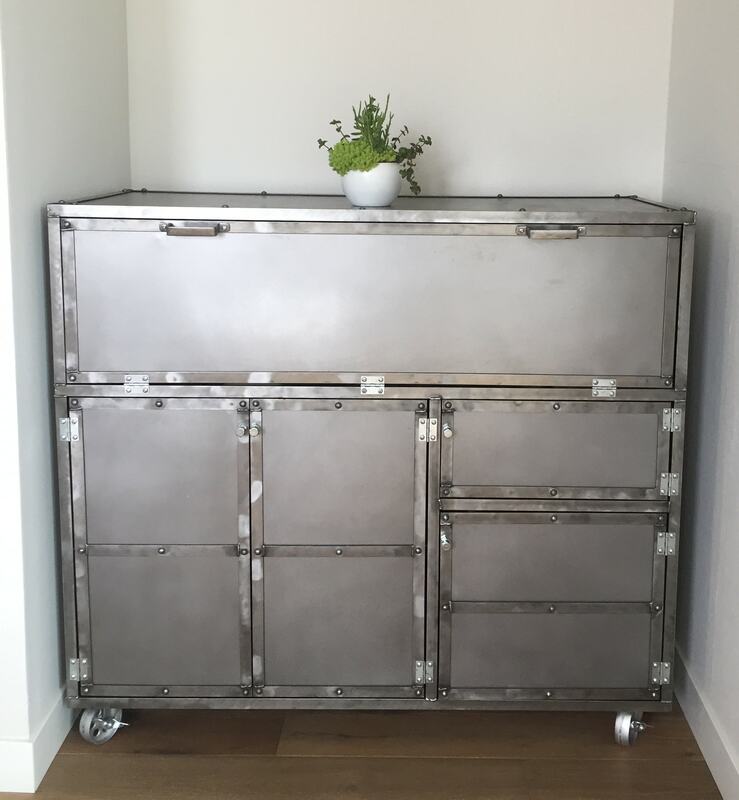 There are many options available for this piece, but the price listed is for one as pictured, which is of 85” W x 18” D x 20” H. (We can build it any size you need; email us for pricing details). 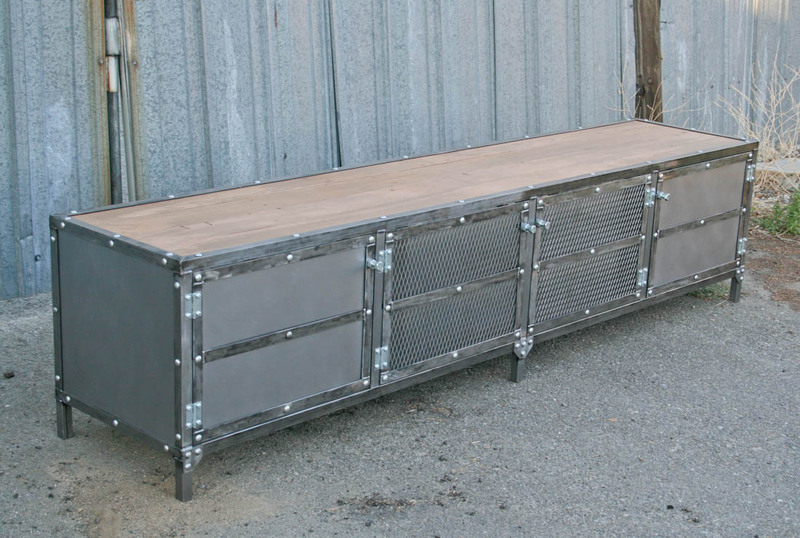 The top is made of a beautiful reclaimed wood, but it would look great with a steel top. If you like the wood top, keep in mind that we have several new and reclaimed wood options available, and will always have a dark color, light color, and one in between. We usually have a few historical woods available (such as teak from the deck of a WWII), but these add to the price and supply is very limited (please email for current stock). 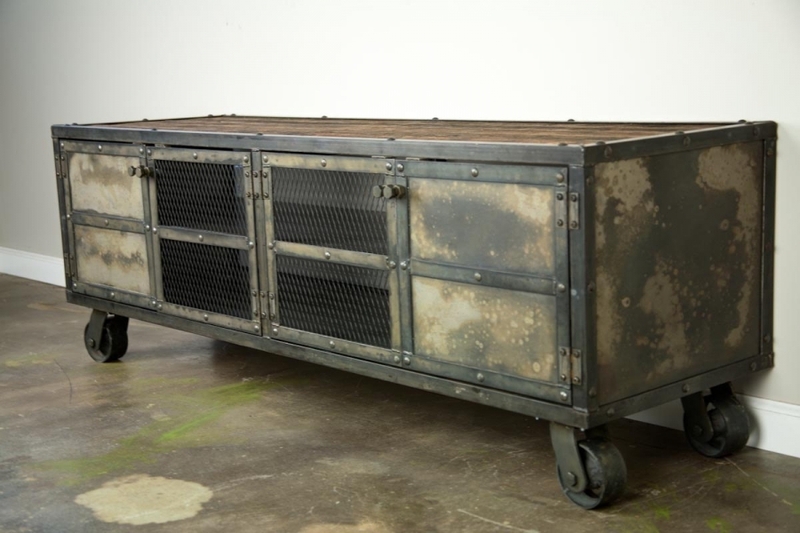 As you can see, it has four doors of which two are solid and two are mesh; however, it can be made with all solid, all mesh, no doors, or whatever combination you would like. The unit has an open back for cables, and a middle shelf. Changes to the configuration can be made such as using steel or a different wood for the top, and or course, changes to the size. Although this piece was not made with a back, it is an available option. 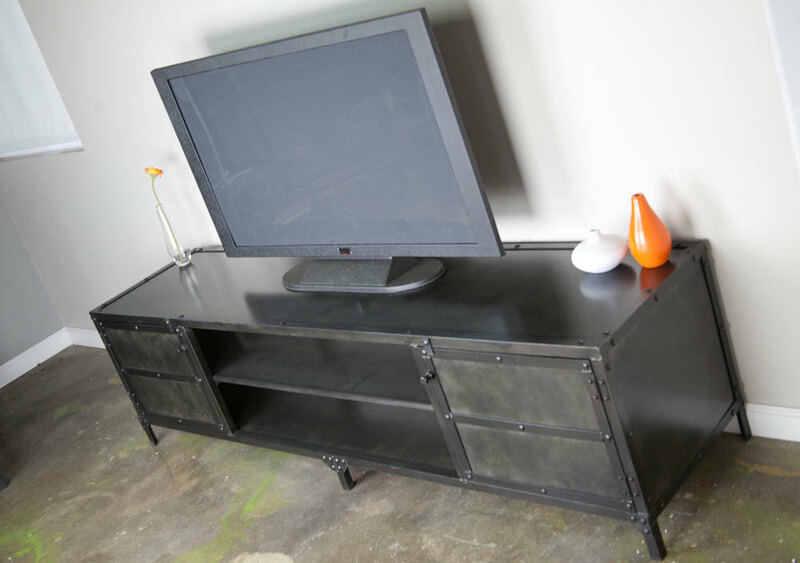 We can add a full back or a partial back (which would leave room for cables and cords). 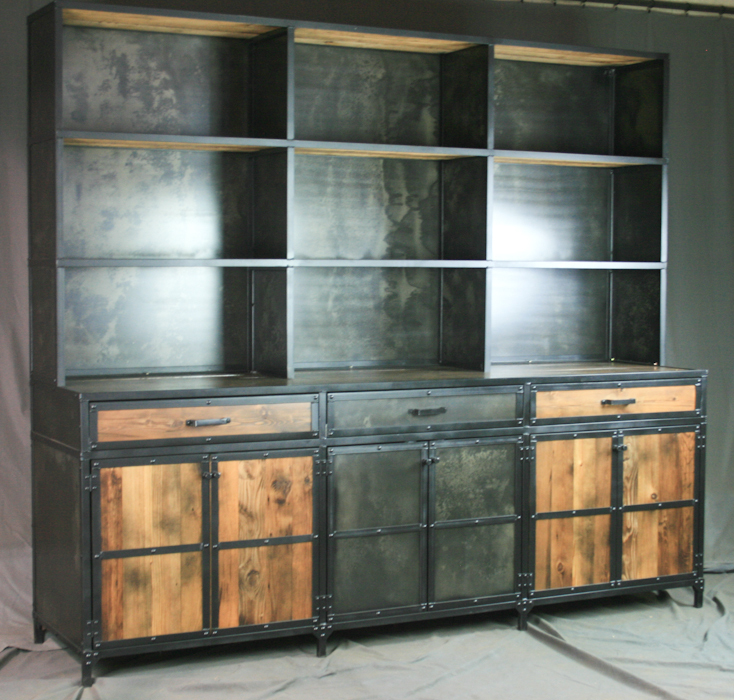 Note: Many of our items can be made in this same finish. 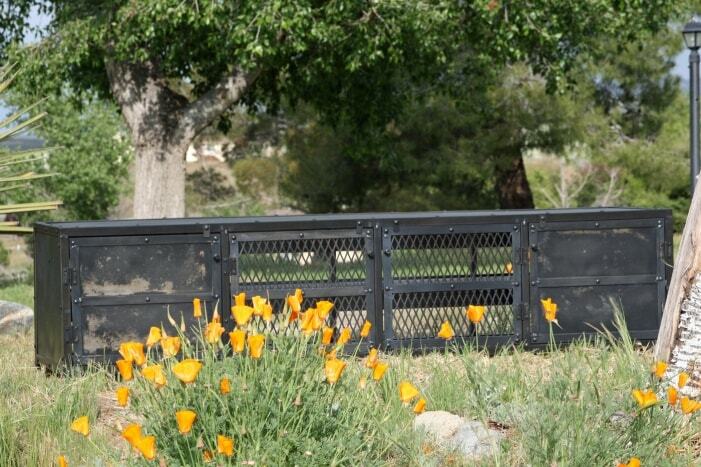 Check out our other pieces to see our other designs. If you like any of them, but would like them with a “polished” look, be sure to inquire. Price for one as shown – $2,350.00.